2016 EU reissue on standard LP -She is both a 20th and 21st century musical and cultural icon known the world over simply by her first name: Aretha. The reigning and undisputed Queen Of Soul has created an amazing legacy that spans an incredible six decades and counting. 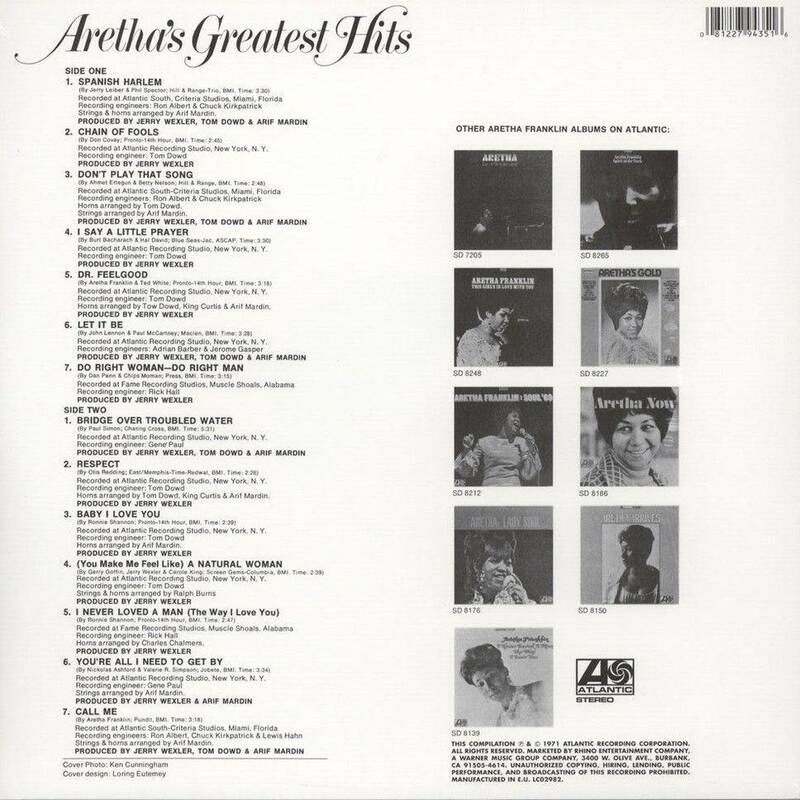 Her many timeless classics include "(You Make Me Feel Like) A Natural Woman," "Chain Of Fools," and "I Never Loved A Man (The Way I Love You)"; original compositions like "Call Me"; and of course definitive versions of "Respect" and "I Say A Little Prayer," all found on this essential 1971 Greatest Hits package from Atlantic Records.